The year’s glut of cricket docs continues with an exploration of the hegemony established over the game by a collection of tiny Caribbean islands in the late ’70s. 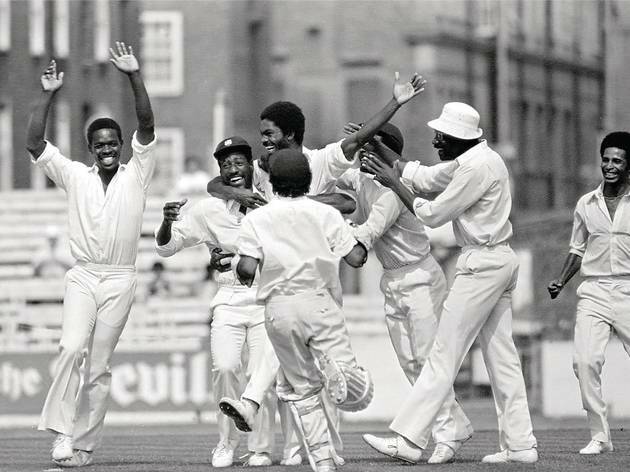 Director Stevan Riley meets legends including Michael Holding and Viv Richards, and explores the racially conscious, militant edge which underpinned this virtuosic team’s achievements. The film also conflates cricket with Jamaican politics, the problems faced by the West Indian diaspora in the UK and the struggle in South Africa. One minor flaw in the film is its reductive tendency to over-amplify the brutality of the West Indies’ methods; of course, their victories were underwritten by the skull-threatening menace of their fast bowlers but there was no shortage of finesse either. Still, a visceral and evocative film. An inspirational and moving film which I suggest the current WI team watch again and again and again. I liked the fact that the director allowed the cameras to roll and did not succumb to political correctness. Itâ€™s called â€œFire in Babylonâ€� because it powerfully depicts how after being battered and bruised by fast bowling (â€˜fireâ€™) in Australia in 1975, the WI team licked their wounds (they didnâ€™t complain and make excuses like the Indianâ€™s and English) and came back stronger and with more fire to annihilate their arch rivals in Babylon. 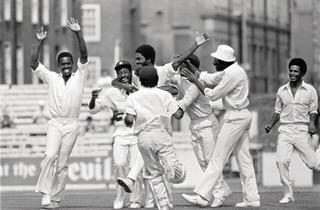 At a time when Black people in the UK didnâ€™t have much to cheer about the WI cricket team helped to instil pride and hope. A great motivational movie and one which I think should be shown in history lessons at all our inner-city secondary schools. Another Steve Riley gem! How does this guy produce these works on such low budgets? After making the viewer feel part of the Oxford boxing team (Blue Blood) he makes us all feel like we're back in the West Indies in the 1970's Entertaining flick for non-cricket and cricket fans alike Not too sure what Alan Russell (Oct 18 @ 20:59) was expecting though....!! What a fantastic film! This is a hugely engaging and uplifting film that touches on many topics, all of them as relevant today as they were in the 70s. The cricket is only part of the story, fearsome though it is to see the Four Hoursemen of the Apocalypse bearing down on the Aussies. There was a huge cheer when the film ended at its premier at the London Film Festival - rightly deserved. This is a brilliant and wonderfully entertaining film, full of emotion, humour and vitality. It is also surprisingly funny and tells such an important story. In response to the first poster - the themes in this film are universal and powerful - an insightful film about the intricacies of cricket would bore an audience to death. The politics are dealt with brilliantly. This is a crowd pleasing joy! Very disappointing. It focussed on the potential for fast bowling to hurt and maim, and relied on the thrill effect of seeing batsmen felled to the ground by vicious bowling. The political aspect of the importance of the emergence of west indian cricket was presented in a very simplistic and dumbed-down way. If you expect to see an insightful film about cricket, you too will be disappointed.